If you are not making the kind of sales that you need, your losses multiply as you find it difficult to meet your fixed costs requirements, such as payment for your inventory and overhead. While you may not have sold anything before, now is the time to get your chin up and learn those selling techniques. You simply have no choice: don’t sell and you may be forced to close the business. One strategy you can also use when sales (and profits) are low is to cut prices. This could attract customers, helps cover your costs, and buys time until your business rebounds. A price cut can also boost sales quickly, especially when there is no money for advertising or other promotions. However, the downside of this strategy is that you may find it difficult to increase your prices back to its original level. Consumers may even peg you into the “cheap” category, thus putting your hard-earned image at risk. You gather all the resources you can to start a business ­ you withdrew all your life savings, borrowed money from your parents, even “maxed-out” your credit cards. When you open for business, alas, you find that customers and sales can be pretty elusive. You wait, and wait, and wait, but cash is running out. Without money coming in, you decide to cut your losses and close down the business. The first step to addressing the problem is to review how you performed against your business plan. Did you spend beyond your planned expenditures? More often than not, your problem lies in a genuine misguided and unrealistic expectation of finance. Try to explore other avenues of financing your business, even opening yourself to accept equity financing where you will be required to sell an ownership interest in the business in exchange for capital. Your choices may be to build the business yourself and push it to success, then later sell your interests for a fair profit; or be repeatedly frustrated in attempts at financing a business that cannot achieve its potential because of insufficient capital. The acceptance of your products will depend on how well you are able to represent your business in the minds of your customers. If you know that you offer good quality products or services with value, the next step should be to get that information to your target market. Generate customer interest in the product through advertising and promotions. You must develop effective strategies to market your business. 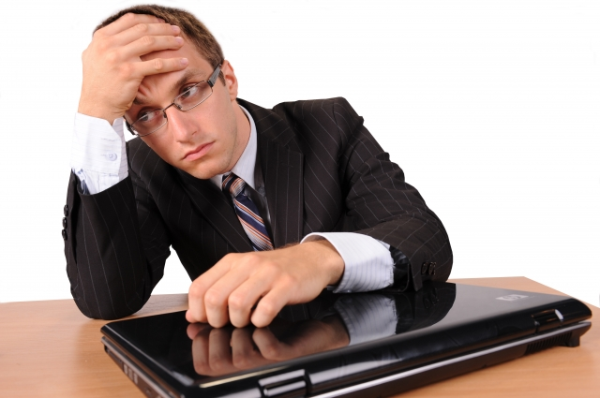 But is your marketing plan working, or are they just a waste of time and resources? Many business owners, in an attempt to save on costs, develop their own marketing campaigns only to fail in their intended purpose of bringing in more business or achieving “top-of-mind-awareness” in the mind of the customer. Their campaigns become ineffective, in the sense that it suffered from unbelievability, an irrelevant message, market saturation, and/or improper niche marketing. They spend time and resources on wrong advertising medium. To achieve your marketing and advertising goals, you need to have an effective message, market position, and adequate funding. An advertising message that is “believable and relevant” is the key to promotional success. When you have the right thing to say in your promotion, you will drive sales. And when the right message is also unique, it becomes even more effective. Changing market conditions may include downturn or upswings in the economy, heightened competition, or even common business risks such as Web site business interruption or calamities. It may mean changing neighborhood profiles, where once thriving areas full of walk-in customers are now deserted. When these changes strike, you may find your business ill-prepared to cope and survive. Stay abreast of the rapidly changing business environment by reviewing your company’s business strategy. If you determine that your current strategy will not work, overhaul your business focus, if necessary. It is important that you study your customers thoroughly so you can track customer preferences and buying trends. This will help release your company from the economic ups and downs. Poor management ranks high among the reasons for the failure of many small businesses. It may cover anything from the inability to manage people, security, financial aspects, marketing or customer relation aspects of a business. One of the most neglected and poorly managed aspects of small business operation is security and loss prevention, particularly for businesses with employees. According to U.S. Department of Commerce statistics, employee dishonesty alone causes 30 percent of all business failures. The lack of security could affect employee morale, productivity, as well as customer goodwill. Irreparable damage occurs when a company’s employees victimize customers or other members of the public. Poor credit management is another common source of the downfall of many businesses. The failure to handle credit well is often the precursor of many cash flow problems. Starting a business is a different ballgame from managing employees. Some people are better off starting businesses, rather than dealing and managing other people. If you think you do not have the talent to manage people, hire someone who can oversee employee management and focus on the areas that you do best. You also need to consider implementing measures to safeguard your business assets, such as inventory, equipment, supplies, cash, and yes, your people. Physical protection of employees and customers is crucial but often overlooked. To handle credit management problems, you can review your customer invoicing policies, possibly shifting to a strategy where each invoice carry a ‘pay by’ date as well as the pre-determined payment terms instead of invoicing in a set pattern. Also watch out for your creeping overheads ­ cancel forgotten subscriptions, hunt down direct debits, change how you buy things, etc. Many small businesses perish because the entrepreneur simply lacks the know-how in a particular aspect of business. This is particularly true for sole proprietors and entrepreneurs who must learn how to wear many hats. You may be good in creating your crafts, but you may need help in setting up your accounting system or distributing your products. Or you may have an idea where to find additional financing, but lacks the skills to network in the mainstream capital sources. You need to make the effort to learn the skills that you need to run your business — especially if you have no resources to hire employees or employ consultants. There are many things that you need to know when starting a business. You need to know, if not master, the technical, financial, and management skills you need for the business. Check for classes in your local colleges or online courses. Find a mentor who can help guide you in learning and developing the skills and know-how needed to succeed in the business. Get a board of advisers or consult a mentor. You may not need a full complement of a formal board of directors, but your business will benefit from the advice of 2-3 people who can provide you with the knowledge in areas that you need help. These people can be your family or friends, as long as they can give you honest assessments of what they think you are doing and where the business is heading. Or on a retainer basis, you can hire professionals to help with specific aspects of your business, such as a small business lawyer, an accountant, or a business consultant. You can also seek the help of business counselors such as the Service Corps of Retired Executives (SCORE), who can provide you with experienced counselors in your field. Location plays a key role in the success of many small businesses; particularly those engaged in retail and hospitality businesses. These businesses need a location that is appropriate, visible and attracts significant traffic. Restaurants and retail stores need a location where there is sufficient parking, a good flow of walk-in and drive-by traffic, and little competition. For home-based entrepreneurs, location depends on the zoning restrictions of the area. You may insist on operating the business from the comforts of your home, but zoning laws (and neighbors) may disagree with you and prevent you from operating the business. Before deciding on the location of your business, study the area carefully. Review the population information and see if it matches your market. Is the population increasing, declining or stable? Check the progressiveness of the business community, gauging how open the community is open to change and whether retailers are open on Sundays. You also need to know the business trends in the area for the past year, and the number of new businesses that opened as well as those that have closed recently. If you are operating a home business, be sure to check with your zoning authorities. 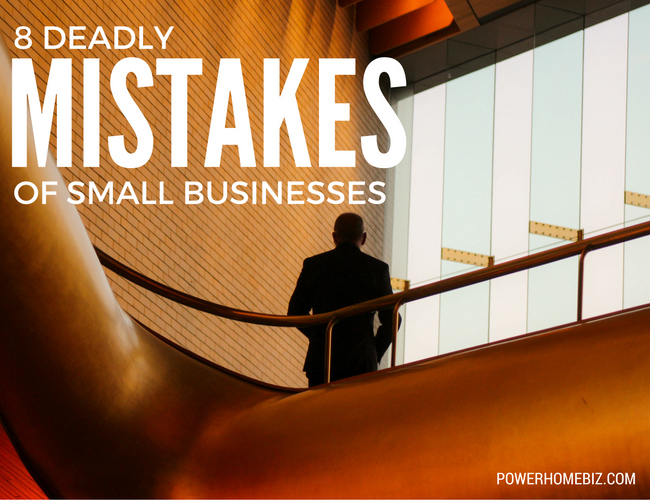 10 Common and Costly Business Killing Legal Mistakes and How to Avoid Them. A Business Law Bible for Entrepreneurs. Poor management can cause businesses to fail, even if they have brilliant ideas. It can lead to poor productivity among employees.